Starwest uses fresh, organically grown and wild-harvested herbs. Their extraction process is tailored for each specific herb resulting in a consistently high quality product. 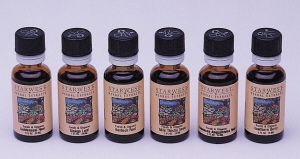 The Starwest extracts we carry represent some of the most commonly used American herbs. Take these extracts by mouth or add to tea, water, or juice. is a blood purifier said to neutralize and eliminate toxins in the system. Certified Organic.